This is part of a two-page book project. 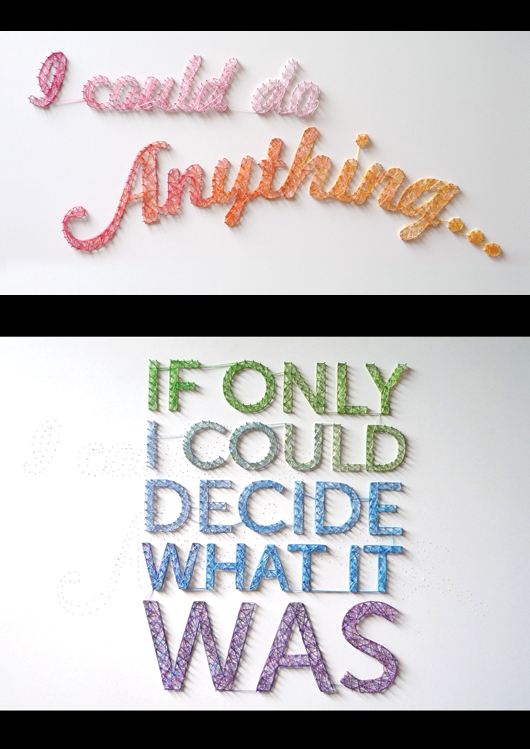 On the left it says “I could do Anything …” and then for the second part, I unwound “I could do anything” and then re-nailed and wound “If only I could decide what it was” to show the pain of how creative people chop and change their minds all the time. You can see the pin holes from “I could do anything” if you look closely enough.